The Aalborg CSP header-and-coil technology celebrates its 10-years leakage free anniversary in 2019. The company’s first header-and-coil type heat exchangers, used in the Solnova plants near Sevilla in Spain, has a unique design, which is well-known from conventional and power plant boilers. 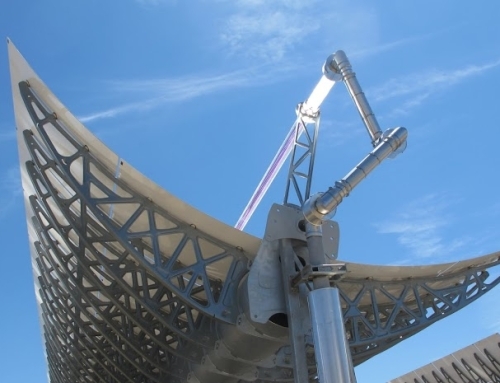 The design reduces the thermal stress profile on the equipment and thereby eliminates the risk of leakage and provides a reliability close to 100% for Concentrated Solar Power plant owners. 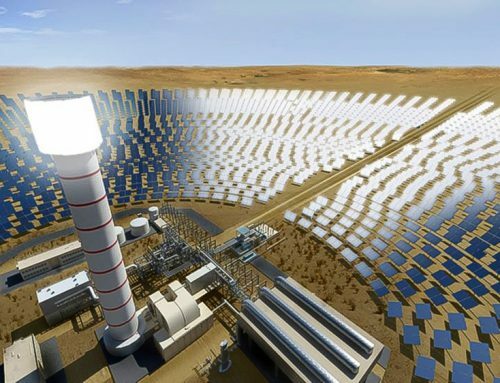 Heat exchangers are used in concentrated solar power plants for Steam generation systems (SGS) and Oil-to-Salt heat exchanger systems and are key components linking the solar field to the thermal energy storage (TES) as well as the power block producing electricity. SGS and Oil-to-Salt TES systems consist of multiple heat exchangers connected in series or parallel. An SGS consists of a superheater, a reheater, an economizer and an evaporator unit with a steam drum, while an Oil-to-Salt TES system consists of a required number of heat exchangers connected in series between the cold and hot molten salt tank. Although the heat exchangers constitute only a small percentage of the overall value of a plant compared to other key components, the equipment is critical in terms of securing continuous reliable power production. If failure occurs, the entire solar plant must be shut down for repairs, contributing to loss in power production and thus loss of revenue. Leakages in the TEMA type tube bundles are one of the main causes for breakdowns in CSP plants across the world and have a significant impact on a plant’s availability and thereby profitablity. Each time a tube leaks, the entire system must be shut down in order for the tube to be plugged or a gasket to be replaced. Heat exchangers must be able to withstand the frequent starts/stops and daily cyclical load changes that are typical to CSP plants. The Aalborg CSP heat exchangers are based on the header-and-coil-technology, which is inspired by traditional boiler technology. They are 100% welded, designed according to ASME and EN standards. This eliminates leakages and significantly reduces the number of failures (to close to zero) over the lifetime expectancy of the equipment. This results in high availability and low operation and maintenance cost. Since 2009, more than 45 header-and-coil type heat exchangers containing more than 40,000 welds have been produced by Aalborg CSP based on these design principles, and all have been operating without any leakage failures. 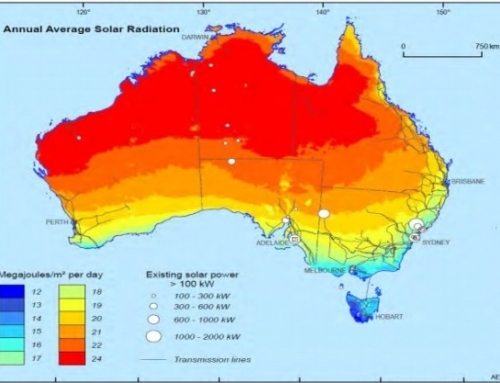 This includes the Godawari 50 MW solar thermal project, which has been operating since 2013. “It gives me immense pleasure that the steam generator supplied by Aalborg for our 50 MW solar thermal project has been working perfectly fine for almost six years now. The operation has been smooth and seamless and with almost no maintenance and with no leakages in the header-and-coil tube bundle” – says Sudeep Chakraborty, Godawari Green Energy Limited. Since 2013 Aalborg CSP has provided a free of charge five-year guarantee against leakages for its header-and-coil type heat exchangers, setting new standards within the CSP industry. With this year’s celebration of 10 years leakage-free operation, the company once again proves the benefits and advantages of the header-and-coil technology. Last month, this recognized technology leadership resulted in the largest order in terms of megawatt power. 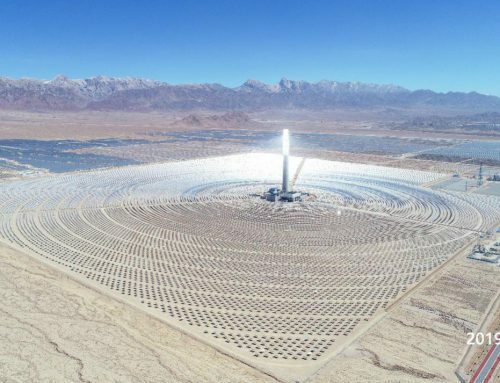 The company increased the number of heat exchangers with the signing of a 600 MWe order for delivery of 42 heat exchangers and pressure vessels for the world’s largest CSP project in Dubai. “The problem with the TEMA type heat exchangers has finally been recognized by the industry, and we are thankful that the technical specification finally allowed header-and-coil technology for heat exchangers in DEWA. Once plant owners and developers understand the real benefits of the header-and-coil technology, I am certain this will be the only allowed technology in new plants as well as for replacing old TEMA type plants. The benefits and value-add is simply too good to ignore.” – says Svante Bundgaard, CEO of Aalborg CSP. On 26-27 March 2019, Aalborg CSP will be attending the MENA New Energy 2019 conference and exhibition held at the Le Meridien Dubai Hotel & Conference Centre in Dubai, UAE. Peter Badstue Jensen, Executive Vice President at Aalborg CSP, and Jens Taggart Pelle, Vice President of Technical Sales at Aalborg CSP, will be attending the conference. Please stop by our booth to meet the two gentlemen for a talk about our heat exchangers based on the header-and-coil technology and join our dialogue on how to reduce levelized cost of energy (LCOE) of CSP plants. Aalborg CSP A/S is a leading developer and supplier of innovative renewable technologies and thermal systems aiming towards changing the way energy is produced today. 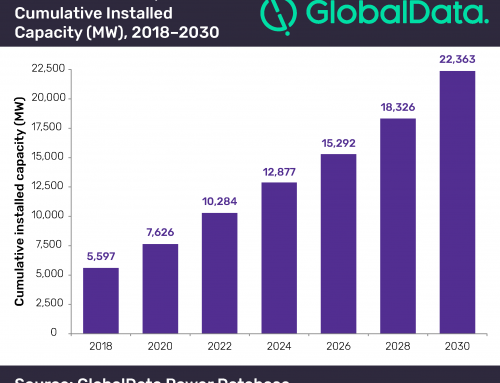 Relying on extensive experience from some of the most efficient CSP projects around the world, the company designs and delivers green technologies and integrated energy systems to lower the cost of energy for industries and power plants worldwide. Headquartered in Aalborg (Denmark) and with sales & service offices in Spain and Australia, Aalborg CSP has realised cost effective green energy solutions to a variety of industries worldwide.